In this deeply revealing and engaging autobiography, Herb Silverman tells his iconoclastic life story. He takes the reader from his childhood as an Orthodox Jew in Philadelphia, where he stopped fasting on Yom Kippur to test God's existence, to his adult life in the heart of the Bible Belt, where he became a legendary figure within America's secular activist community and remains one of its most beloved leaders. Never one to shy from controversy, Silverman relates many of his high-profile battles with the Religious Right, including his decision to run for governor of South Carolina to challenge the state's constitutional provision that prohibited atheists from holding public office. He is equally candid about the battles he has faced in the secular community itself and the many hurdles he overcame in the historic step of politically uniting the country's major secular, humanist, and atheist groups under the banner of the Secular Coalition for America. Silverman combines a satirist's pen with an activist's passion, revealing in humorous and often moving ways a personal side few know. 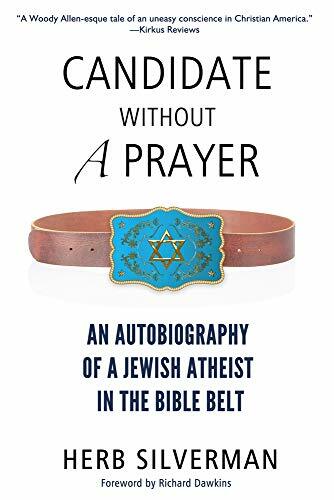 <i>Candidate Without a Prayer</i> offers an intimate portrait of a central player in today's increasingly heated culture wars.